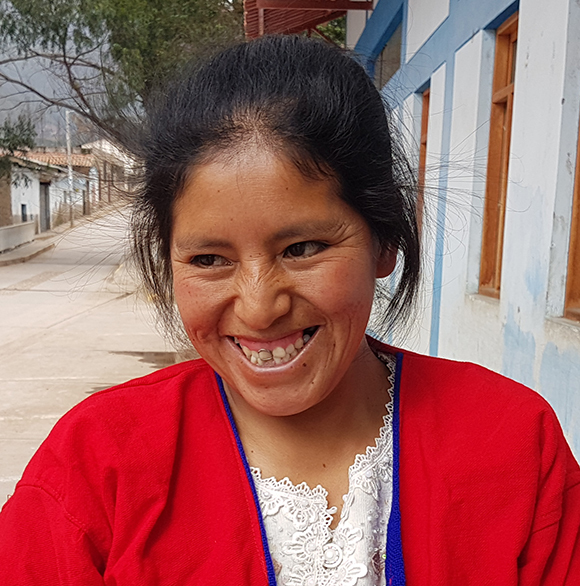 In Peru, MMI partners with a local NGO Solidaridad para el Desarrollo, supporting women like Lourdes, who at age 27 was elected by the women of the Puka Phallcha Association to be their president. Lourdes, like the all women of the association, are proud of their accomplishments and participation in a range of training workshops run through MMI’s Women’s Livelihoods Project. These workshops do not only focus on income generation, but also on human rights, citizenship, and leadership training, helping to ensure that the women’s voices can be heard in their community.